Run for the border. Borders of bold color! 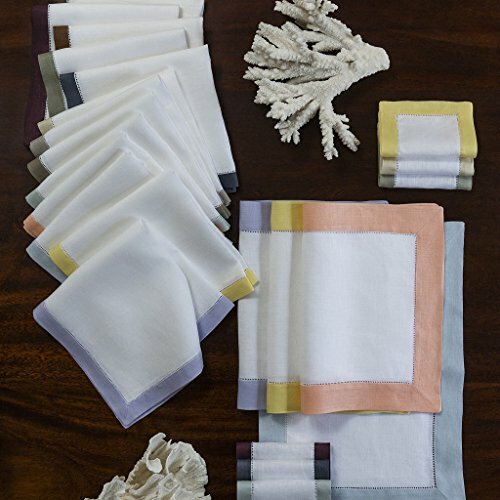 The Filetto cocktail napkin collection from SFERRA was expressly designed to coordinate with the solid-color Festival table linens, so you can mix-and-match beautiful table settings with ease. A pristine white center surrounded by a distinctive colored border is the height of tailored sophistication. Choose one of Festival's 101 colors as a tablecloth, and then accent it with placemats, dinner, and cocktail napkins in any of Filetto's nineteen colors. It's the perfect marriage of bold, graphic, modern style and world-renowned SFERRA quality.